Cloan Engineering will undertake any project whether it be from the start, or half finished home builds. No job too large or too small. Check out our latest restoration project by visiting the gallery page. Family run with a passion for classic restoration. Cloan engineering is a small family run automotive engineering business with a passion for classic restoration, kit cars and modified performance engineering. We also provide services of MOT's, servicing, vehicle maintenance and welding work. Cloan engineering are also a Minnkota Dealer. Cloan engineering are also a Minnkota Dealer dealing in electric outboard motors, and have on site Minnkota spares & repairs. We also do other trolling motor spares & repairs. This service works well with the performance engineering, and the kit cars side of the business as many classic, performance or kit cars are stolen to order. Security is of prime importance in this industry. 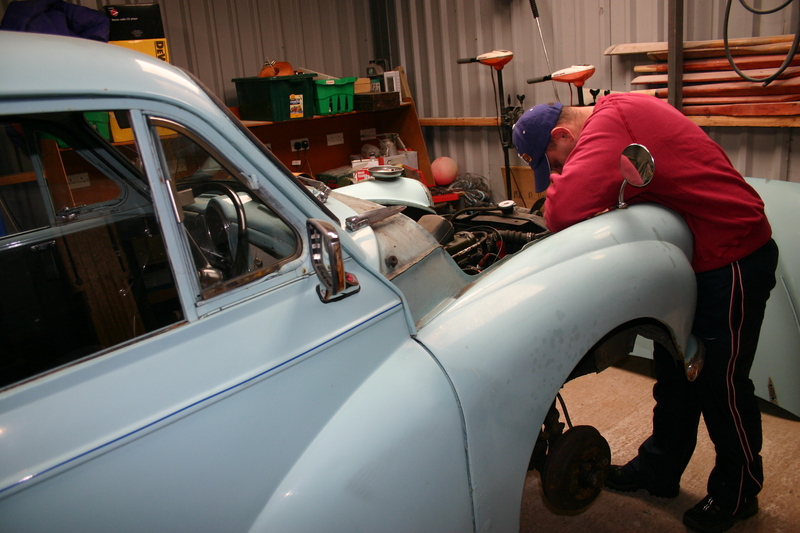 Cloan Engineering provide services of MOT's, Servicing, Vehicle Maintenance and Welding Work.